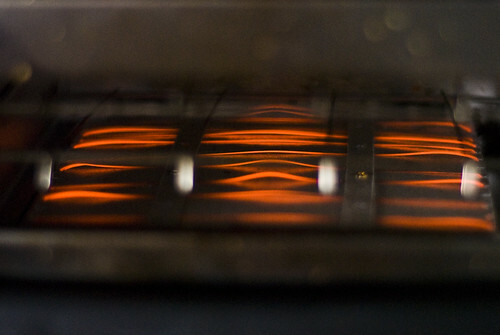 Toasty (344/365 year 3) – Annoyingly Boring? Stuck for an idea, I pulled out the toaster and took a quick shot of the glowing coils. Call it a day and move on.